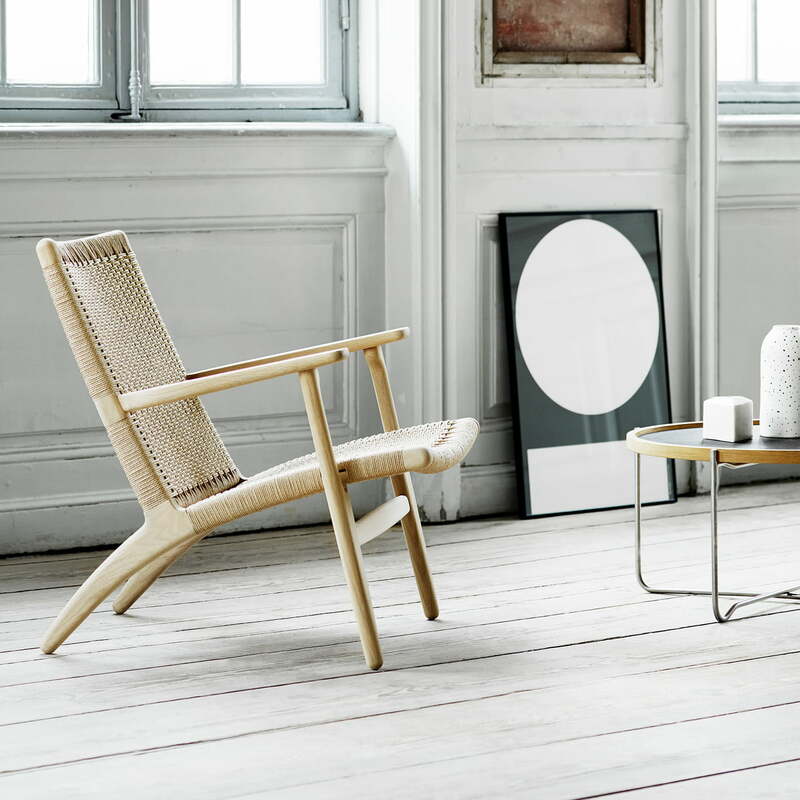 The CH25 armchair was designed in 1950 by Hans J. Wegner as one of four chairs in the first three weeks of his activity at Carl Hansen & Søn. It was considered more of a revolutionary and controversial chair at the time. The armchair convinces with its cool design typical for Wegner and its extraordinary materials. The armchair with a low seat height of 35 cm consists of an oak or walnut frame in various finishes. Its inclined seat makes the armchair particularly comfortable. The back and seat surfaces are carefully hand woven from paper yarn. Paper yarn is actually a war substitute material, which proved to be particularly robust and versatile. 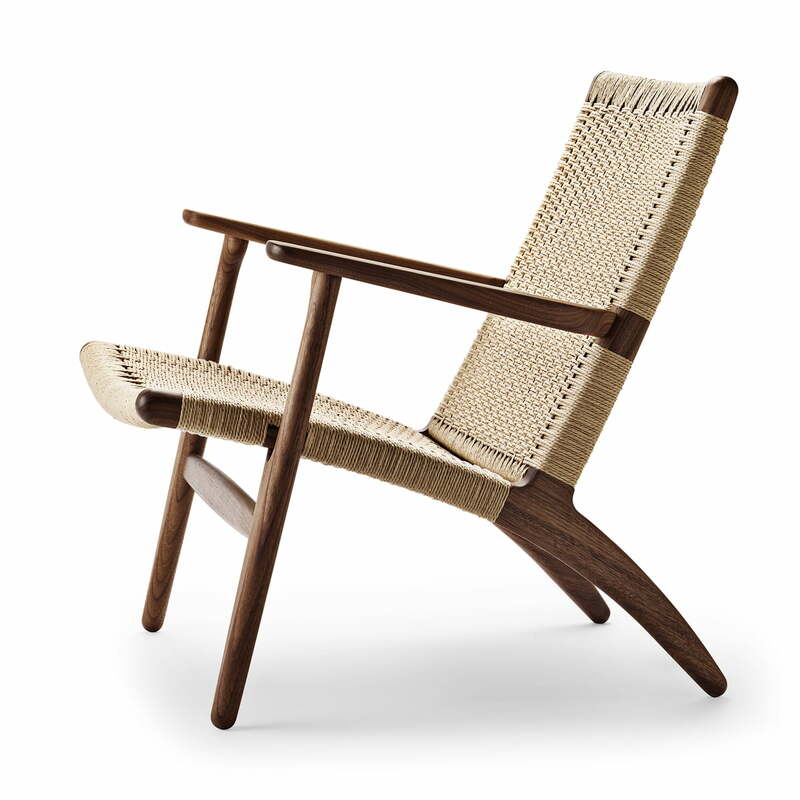 When Wegner's armchair came onto the market in 1950, his choice of materials was considered very controversial and outrageous only a few years after the end of the Second World War. 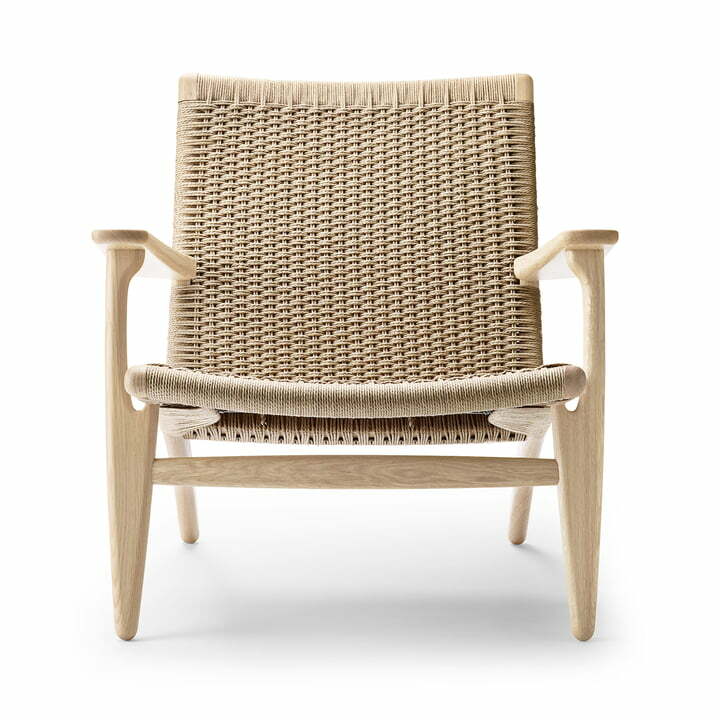 However, Wegner liked the appearance and durability of the material. An experienced weaver needs about 10 hours to make a seat and a backrest out of 400 meters of paper cord. The result is a high-quality and timeless armchair with a unique woven pattern. From all angles it looks beautiful and inspiring, making it an eye-catcher in any room. An experienced weaver needs about 10 hours to make a seat and a backrest out of 400 meters of paper cord. 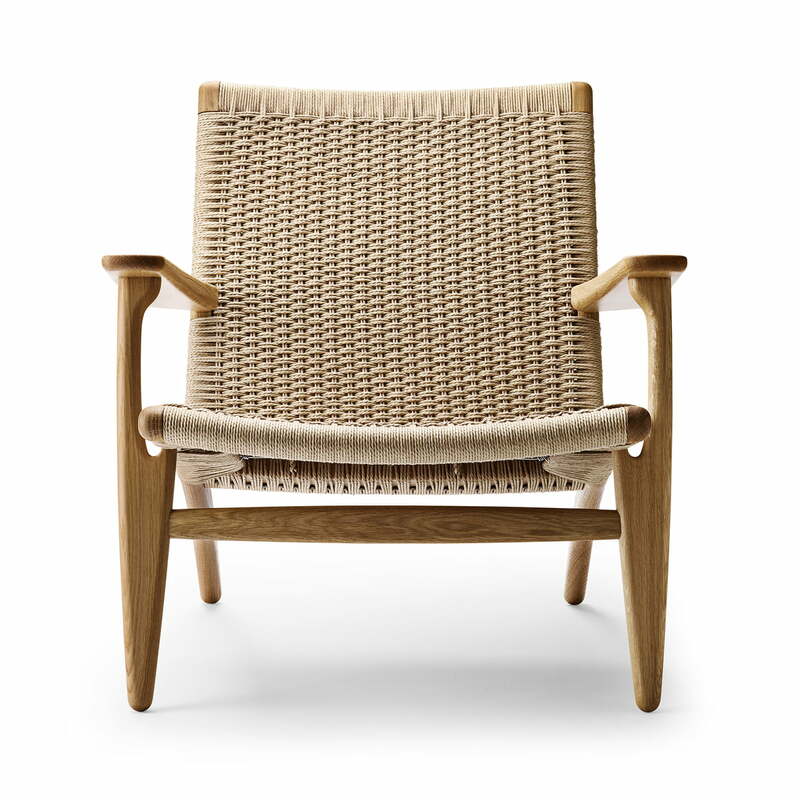 The result is a high-quality and timeless armchair with a unique woven pattern.